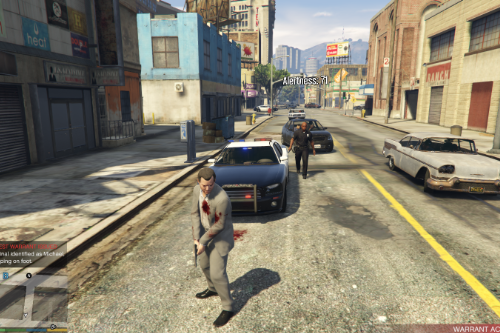 With this mod you can unlock the potential of the Director Mode by using NPCs as actors! This mod is very easy to use, just select the skin you want to use in director mode (or any other trainer), the weapon you want your actor to hold and press F6 to open the Actor Manager menu. From there you can spawn a new actor, which will take your current position, skin, heading and weapon. You can change heading later to fit your needs. You can also make them move around by using waypoints. Go to the waypoint menu and start laying down waypoints. The actor will follow these waypoints around on foot and on vehicle, and stop at the last one. When you are done setting waypoints and go to the actor menu to apply these waypoints to your last actor. 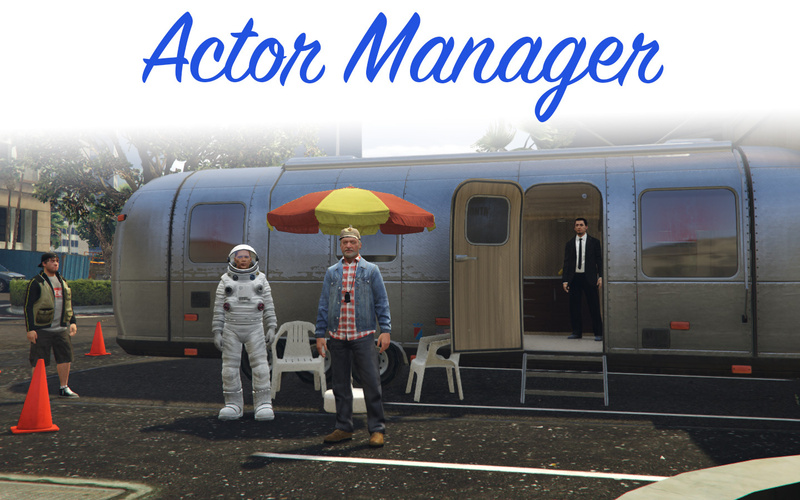 Once you have all your actors ready, go to the Scene menu and press Play Scene. You're set! Download the latest Script Hook V .NET and copy the ASI into your game folder. --When you edit/select a waypoint, it's position will highlight. --Configurable hotkeys! You can see them all in the ActorManager.ini file. --New working back button set on NumPad0 by default. --Help Tips! You can disable them in the ActorManager.ini file. --Added a bunch of animations -- not that not all of them may work. --Updated the animation index with current-gen animations -- delete old one for the changes to take effect. --Animation Index is now alphabetically sorted by library, so the IDs have changed. --Fixed an issue when the index didn't work for the first startup. --You can shoot actors now. --Cars now copy your color. --Added animation index! You can input a number and it will automagically translate into an animation library and name. All of the indexes can be found in the scripts/ folder in the file "AnimationIndex.txt"
--Prettier menu with a sprite header. --You can now modify wait time. 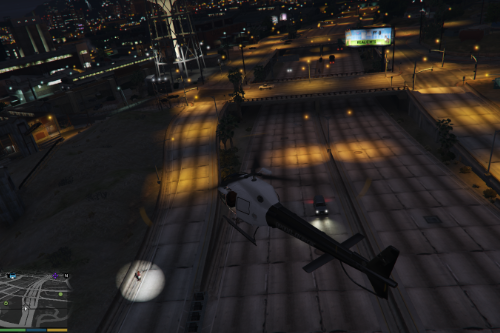 --You can modify vehicle speed. --You can modify vehicle driving style. 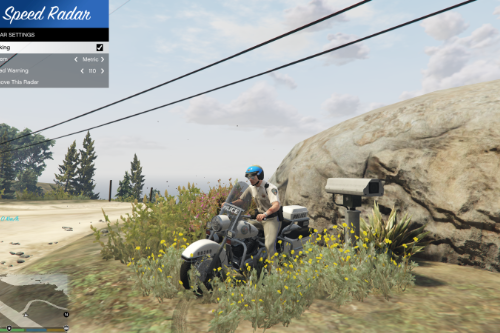 --You can now enable an actor's siren by having it on while recording a waypoint. --Actors now wear your precise clothing. --Actors now spawn properly on the ground. --You can now edit waypoints individually if you set the global speed to Custom. --Actors now can wait in place as a waypoint. --Actors now get to their original heading when you reset the scene. --Removed the loop waypoints option, just place another waypoint where you started. @kaus08 Dude, it took me forever for some reason. You have to make sure you have installed everything. Re-install EVERYTHING and make sure you've put everything in the right place. @TheBrandman NVM.. I forgot to update Microsoft Visual C++ Redistributable.. Now it works! To put actors in vehicles: Get the vehicle that you want > spawn actor > then you'll see your actor inside the vehicle > so with your "new controllable actor", get any random vehicle and start making the path adding waypoints > apply waypoints to the last actor. Done! I need something to put my actors at their respective position.. When they're playing A+B animations (like fight moves), it's hard to add a animation waypoint close to other actor and match perfectly, it's messy. I can't move their x,y,z axys with other mods because when the scene is played they return to the original waypoint position :( Anyone know how to achieve that? Thanks, man. And I'm still trying to do cool fight scenes. @Guadmaz hey guys! i'm having a serious issue and i hope someone can help me. when i record a scene everything goes well, but when i watch it back, there's a duplicate of my actor right at the point where the recording has stopped. i tried reinstalling and updating everything, but couldn't find a solution. unfortunately i can't use any of my scenes this way. thanks! cheers! okay i loaded the previous comments. so restarting editor solves the issue! ty! Sorry.. I can't get it working at all.. F6 doesn't bring up the menu. I'm having Windows 10.. MS .NET Framework is included in it as I understand.. Looking into the registry I do see a version 4.0. ANy hints on WINdows 10? @Guadmaz I also have the green hair and duplicate actor in the rockstar editor issue. Any way to work around this? Doesn't seem to work anymore. 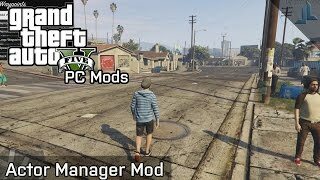 Can't launch any options in game or in Director mode. Say goodbye to this mod if you updated your game. 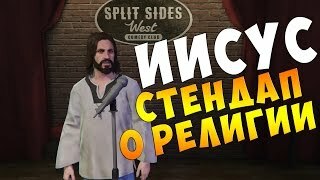 Can you make new version of this mod? I don't know what is the problem... For me this mod works decently! Menu opens up as it should, actors spawn exactly like I want them to and in the exact form chosen. The only problem I noticed, is the fact that running actors briefly stop at each waypoint. Which is not too cool... It seems to happen regardless of the settings applied. On the other hand, drivers continue from waypoint to waypoint without stopping. Overall, a real good idea - indeed fills the lack of options to actually direct people and vehicles to create a movie set. On the other hand, has some bugs that should be improved. However, even in this form it brings much more flexibility to creating videos and movies with GTA.